The Moon series by Rebecca York is a fantastic shape-shifting paranormal romance series. Killing Moon is the first book in this series and is different from other shape-shifters I have read. Ross Marshall, Private Investigator and werewolf, assists the police force in locating missing persons and more importantly … serial killers involved in those cases. Doctor Megan Sheridan is a research doctor working for Bio Gen Labs doing mostly genetic testing for clients. Losing the coin toss, she makes a house call to the one and only Ross Marshall who claims to have a genetic problem and needs her help. Coming from a pretty brutal family, all female children die at birth as well as some males. Those males that live will have to face the change during puberty. Unfortunately, it seems most of them die during that stage. So there is a high child mortality rate. Unlike most wolf packs, all of the males in his face are alphas. There is no one alpha to rule them all so as he calls his father, The Big Bad Wolf, growing up was not easy for him or his brothers. I’m going to write a passage here from the book, but I don’t want you to think the entire book is this crude. There are only two very small parts that come across this way and that is ONLY when he remembers his father. I am only putting it in this review to give you an idea on the earth shattering and needful attraction between the male and his mate. It also gives you an example of how harsh his father was to his children when they blamed him for the treatment of their mother, her life and all of children she loses. Now I’m on to Edge of the Moon! 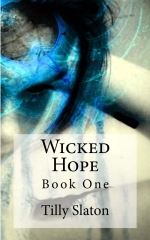 This entry was posted in Reviews and tagged megan sheridan, paranormal romance, Rebecca York, ross marshall, serial killer, shapeshifter, werewolf. Bookmark the permalink. Thanks for the great review. It comes at a nicet time because I’ve just published a new Moon book, Dark Moon on Amazon and B&N. In many ways it’s like Killing Moon because it goes back to the roots of the series. It’s also part of a new series called Decorah Security, a detective agency run by a gruff old Navy seal. You can find Dark Moon and the others in the series, Chained and Ambushed, by putting Decorah Security into Amazon or B&N. I am about 10% into Dark Moon and so far I am in love with Cole and Emma 🙂 Great Job! Review to come!